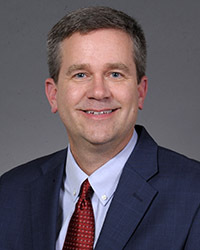 F. Ward Blair, MD is a high skilled family medicine physician practicing at Kettering Physician Network Primary Care located at Springboro Health Center. In 1998, he and his wife moved back to their home state of Ohio to raise their six children and he has lived and practiced in Springboro ever since. Dr. Blair has more than 30 years of experience in Family Medicine. Family Medicine, including preventive health care and routine check-ups, vaccinations, as well as sick visits and chronic disease management and prevention. Dr. Blair enjoys all aspects of Family Medicine, especially caring for and getting to know multi-generational families over time.